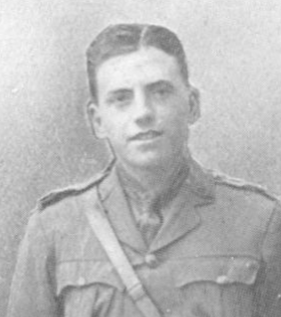 The Kendall family have written to inform us that Locke has been killed on active service in Palestine. As might be expected, news takes a little longer to reach us from the more distant theatres of war and the details too are few. He went out to Palestine in February this year, and was serving with the 21st Cavalry Machine Gun Squadron, 8th Mounted Brigade, Yeomanry Division. As to the manner of his death, all we are able to ascertain is that he was wounded in an engagement on November 21st and died the following day of his wounds, at a place called Tartah. 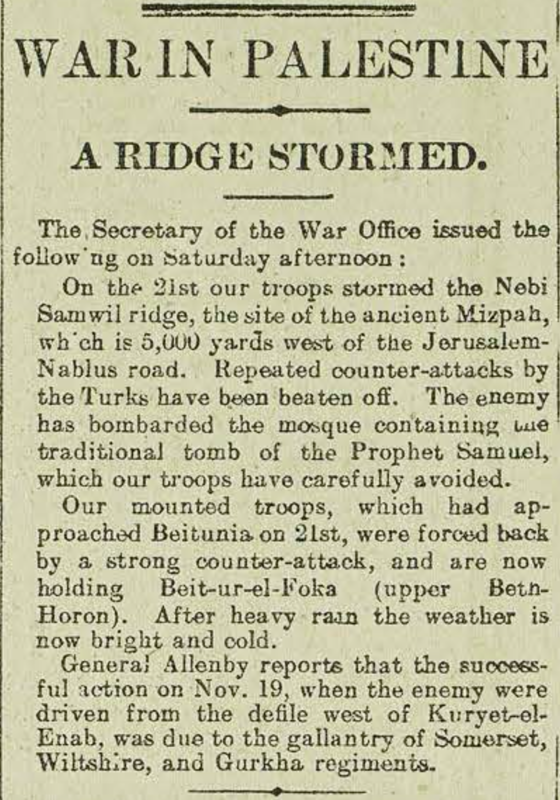 Looking back at the Daily Telegraph of November 26th, it seems likely that Locke lost his life storming the Nebi Sanwil Ridge. At the OPS we shall always remember his cheery optimism and willingness to tackle any unpleasant or difficult job that had to be dealt with. Locke will also be remembered for his great ability at hockey. 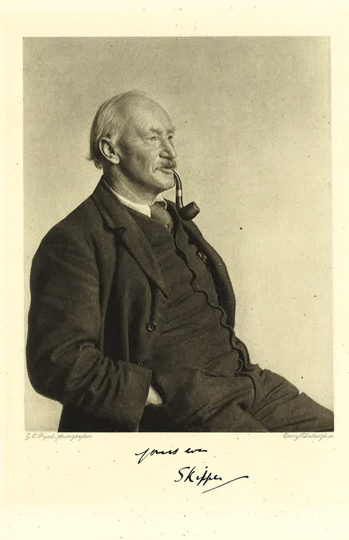 He represented Suffolk in 1908 and played with his brother Jack for Norfolk the following year. He was awarded his Blue when up at Cambridge in 1913 and won an international cap against France in April 1914 – a resounding 6-0 victory.